Database administrators (DBAs) are feeling the heat. Database profilers cannot be run continuously in production due to the overhead they impose. Without them, though, DBAs are flying blind. What DBAs need is a better way to understand database performance in production environments. That's the message we heard repeatedly at Oracle OpenWorld 2012 last week in San Francisco. We met a lot of DBAs and IT pros who need a better approach to application performance management (APM). And when it comes to application performance, no part of the application environment is more vital than the database. 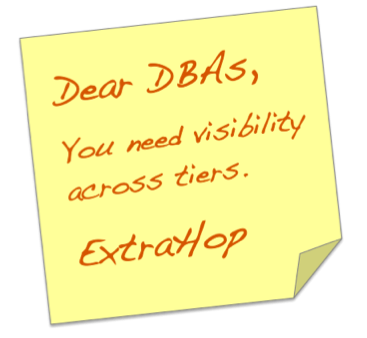 Scroll down to the end of this post to watch our ExtraHop for DBAs webinar. No registration required! Poor database performance affects all the applications using that resource. When troubleshooting database performance, DBAs need to understand how applications and clients are using the database so they can protect it from poorly written queries, for example. When optimizing database performance, DBAs need to know what the heaviest workloads are across database clusters so they can move those workloads to cache. For DBAs managing major databases, including Oracle, the ExtraHop system offers a number of must-have capabilities that complement vendor-supplied tools, such as Oracle Enterprise Manager (OEM). Profiler alternative. With a zero-overhead, non-invasive deployment, the ExtraHop system enables DBAs to continuously monitor the performance of production databases without adding overhead burden. According to an MSDN paper on Microsoft SQL Server 2008 auditing, running a SQL trace added 19% and 147% overhead to two example workloads! Moreover, profilers are not an option for packaged applications from Oracle such as Siebel and Hyperion. Read how Alaska Airlines uses ExtraHop to monitor the performance of the IBM Informix database underlying its weight and balance application. Drill-down analysis. DBAs and other IT team members can start at summary views of database performance, zoom in on specific time periods, and then investigate specific query metrics by client IP, database instance, method, table, and user. Transaction details. The ExtraHop system provides specific information needed to take action, including database methods, stored procedures, count and processing times, SQL calls, and internal Oracle-specific calls. Read more about ExtraHop database capabilities. Storage visibility. While other APM tools do not measure storage latency separate from database response times, the ExtraHop system offers transaction-level metrics for the SAN and NAS systems that underlie databases. Read more about ExtraHop storage capabilities. Network visibility. 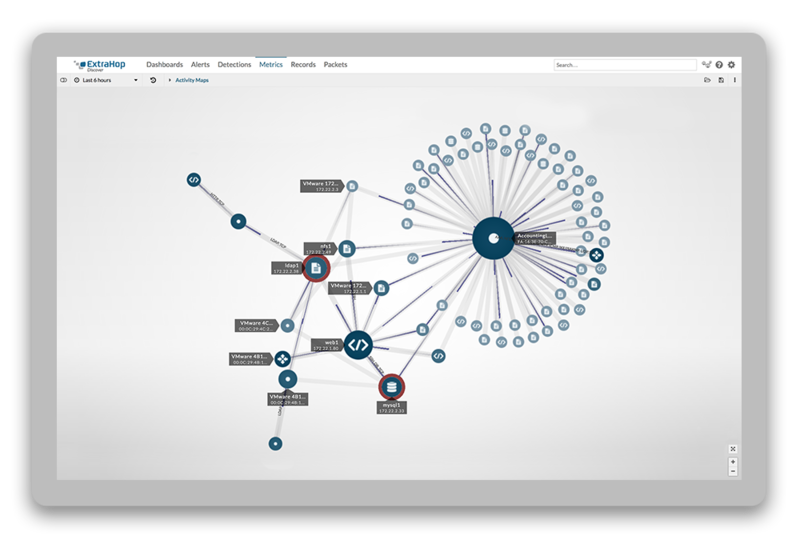 The network ties everything together, and the ExtraHop system helps DBAs and other IT team members correlate network performance with database performance using advanced TCP analysis. Early warning. The ExtraHop system is always on and monitoring all database queries. Concur, for instance, uses ExtraHop to monitor more than 2 billion SQL queries each day. With trend-based alerts, IT teams can address small issues before they affect users. Policy compliance and audit. Because the ExtraHop system tracks database metrics by table and user, IT teams can easily ensure compliance with security or privacy policies by monitoring usage and setting alerts for prohibited actions. Cache optimization. When implementing a 1.4TB memcache caching system, Concur used the ExtraHop system to determine the total weight of every SQL query by calculating the number of times the query was run by the time required to return the data. The ExtraHop system also monitors memcache performance for ongoing optimization with transaction rates, error details, and methods used. Broad support. In addition to supporting Oracle databases, the ExtraHop system offers database analysis for IBM DB2, IBM Informix, Microsoft SQL Server, MySQL, PostgreSQL, Sybase ASE, and Sybase IQ. Read more about ExtraHop database modules. Easy deployment. The ExtraHop system deploys rapidly with a simple plug-and-play setup, requiring no agents, host-based instrumentation, or manual configuration. Try the ExtraHop online interactive demo for free. It walks you through real-world scenarios where ExtraHop can provide business-critical insights in healthcare, finance, and other data-centric industries. Experience ExtraHop's cross-tier visibility firsthand! Read our Concur case study to learn how the world's largest SaaS ERP provider uses the ExtraHop system to optimize database performance. Watch the Application Performance Monitoring for DBAs webinar. This 30-minute webinar explains how the ExtraHop system's network-based approach works, how customers are using the solution, and includes a walk-through demonstration of the ExtraHop system's database monitoring capabilities. Watch this 30-minute webinar to learn how Alaska Airlines and Concur use ExtraHop database monitoring capabilities and watch a demo (at 15:00 mark).